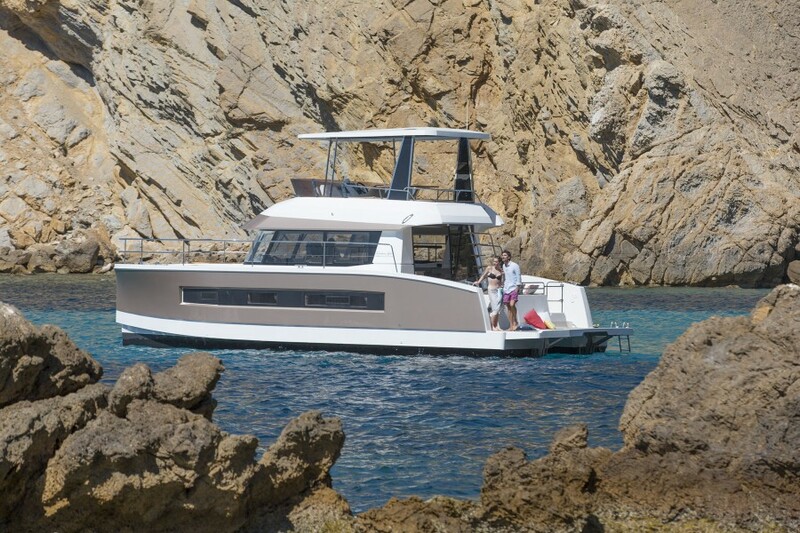 Fountaine Pajot announces a new model in its Motor Yachts range. 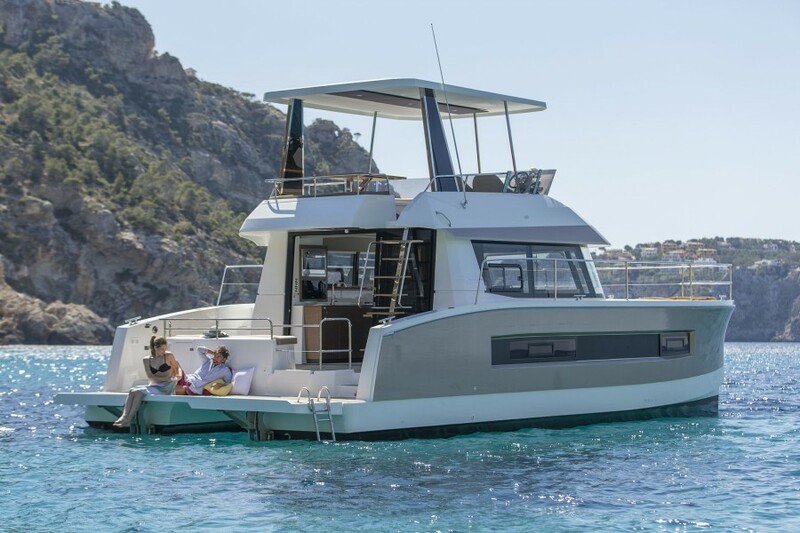 Drawing on the success of its three other motor yachts, the Summerland MY 40 LC, the CUMBERLAND MY 47 LC and the QUEENSLAND MY 55, the French shipyard is launching a new entry-level model : the FOUNTAINE PAJOT MY 37. 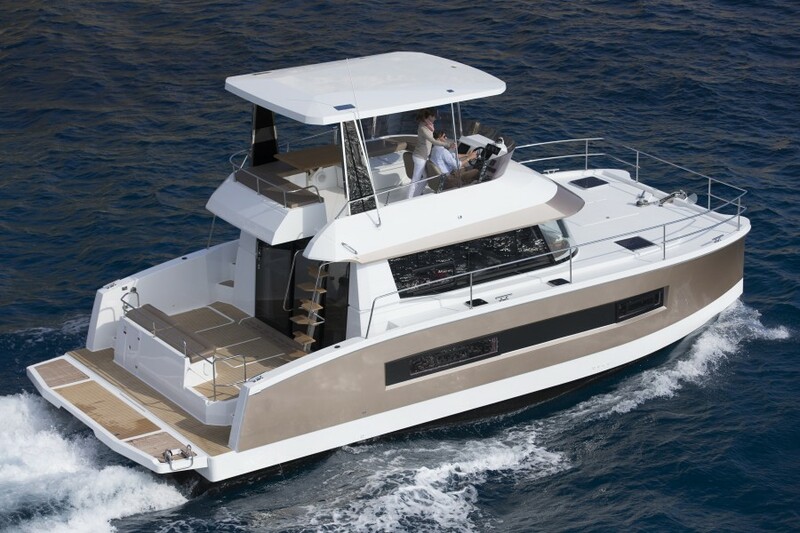 MOTOR YACHTS FOR TWICE THE PLEASURES! 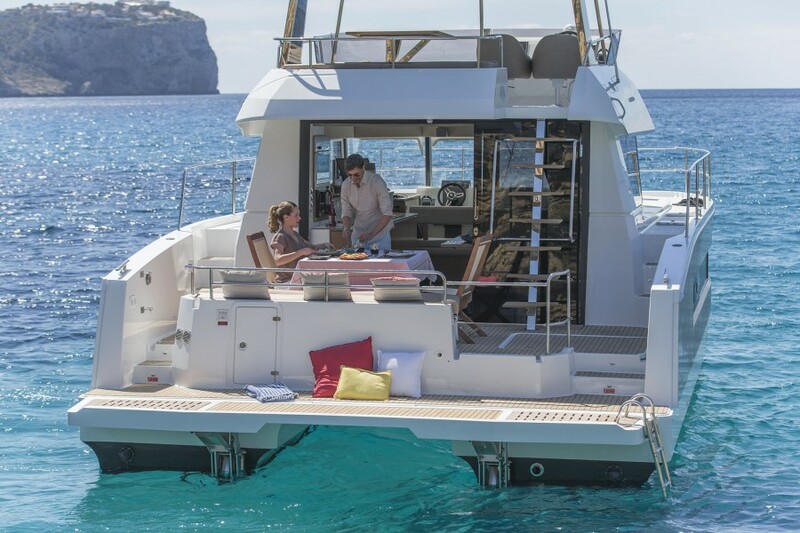 An incredible yacht with a contemporary design, the FOUNTAINE PAJOT MY 37 will offer you more than a monohull: hanks to hull shape specially designed for perfect seaworthiness and exceptional stability, you are assured unequalled comfort and safety. 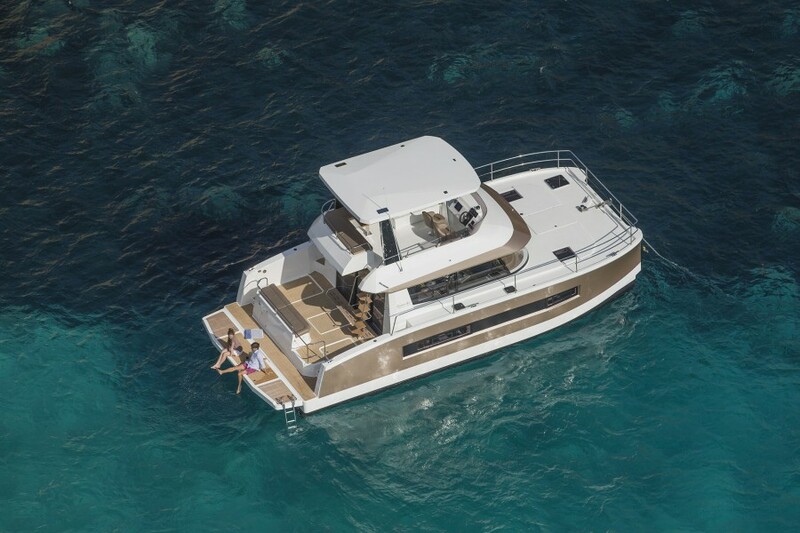 With its spacious ﬂybridge and sun deck, a cockpit leading directly onto the saloon, the FOUNTAINE PAJOT MY 37 brings you all the many pleasures of the sea, both in navigation and at mooring. 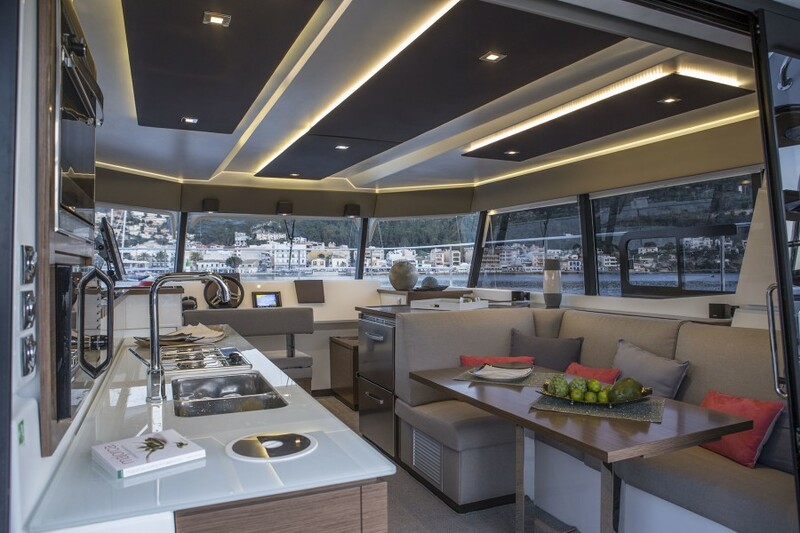 The incredibly bright and airy saloon opens onto the cockpit and incorporates a contemporary kitchen, a dining room area and a wheelhouse (varies by model). 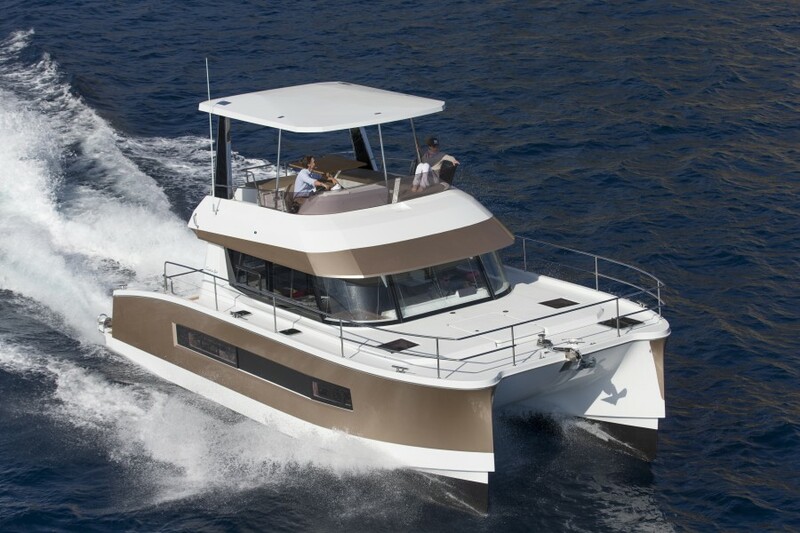 Choose from two different versions. 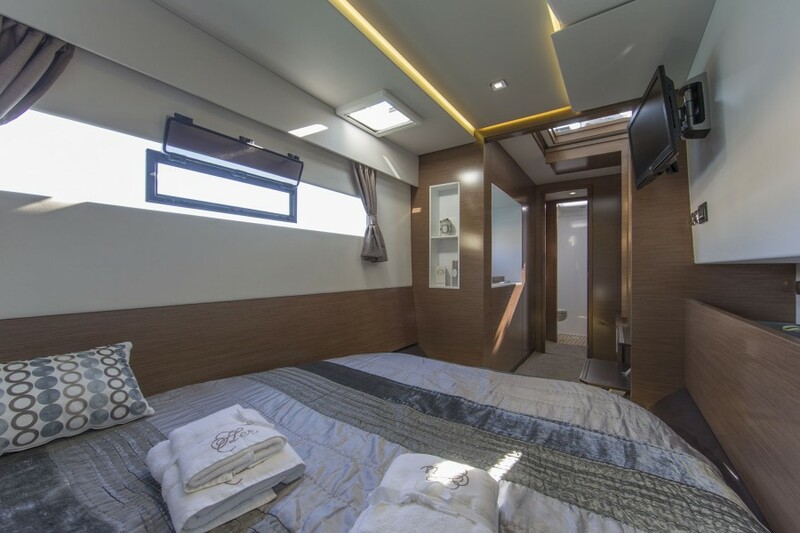 Tucked away in the port side hull is a stunning owner’s cabin equipped with a private bathroom and generous storage compartments. 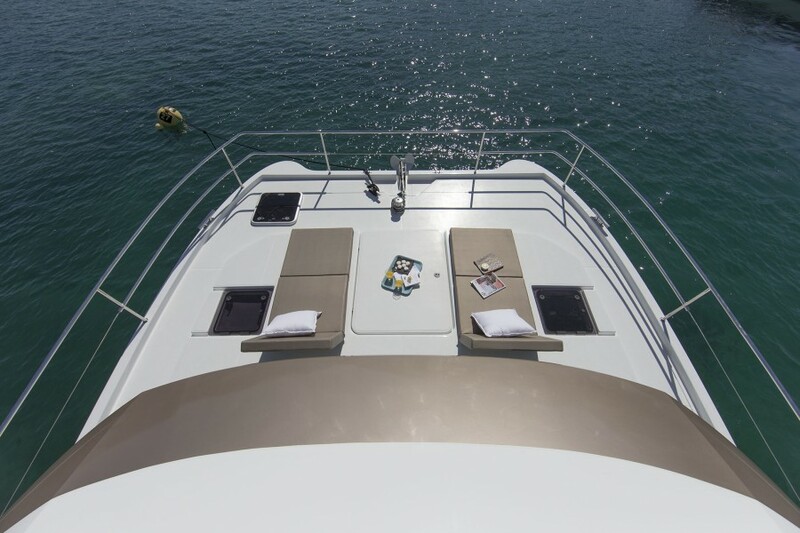 On starboard, guests enjoy two cabins and a private bathroom. 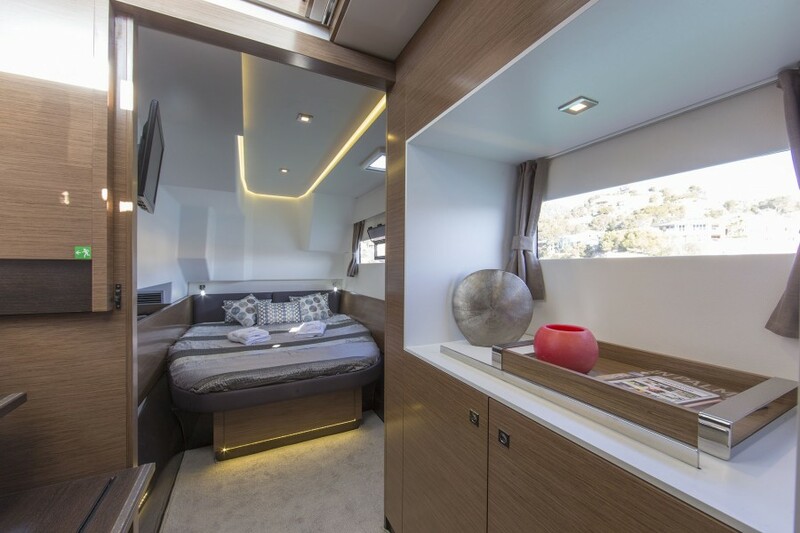 Four beautiful cabins and two bathrooms have been incorporated across both hulls.